Regional District of Nanaimo reaffirms its support for "Convening for Action on Vancouver Island"
“By bringing together champions from the local government and stewardship sectors to collaborate under the CAVI umbrella, these champions are seeing the context differently; and they are aligning their efforts to achieve a shared vision for the Comox Valley. They call this shared vision An Integrated Watershed Approach to Settlement,” stated Tim Pringle. “We invited developers and their consultants to a consultation session. Our objectives were to determine what green features they are comfortable with; and where they would like to go. The Green Design Guidelines will establish a baseline. The intent is that the guidelines will evolve as the development community becomes increasingly familiar with what works and what does not,” stated Gary Noble. “The Series theme, Getting Ahead of the Wave, defined what we wished to accomplished in building on the foundation provided by the 2008 Series. 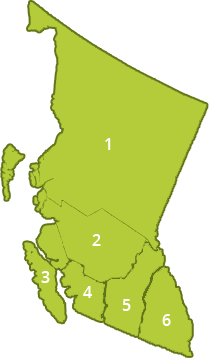 We view the 2009 Series as our springboard to advance integration of current Comox Valley regional initiatives in 2010, including regional growth and regional sustainability strategies,” stated Kevin Lorette.